Amazing opportunity to buy a flat. Disappointing quality of materials used. I really like living at this property. It’s a great location and close to public transport links. I wouldn’t have been able to buy in this area without Pocket Housing building these affordable homes. I think it’s a good place to live if you want to invest in an affordable property. It’s still expensive and not a realistic price for the majority of people in the U.K., but it’s a lot cheaper than your standard flat price in London. I probably wouldn’t recommend living here if you are sensitive to sound as it’s very close to the train tracks. The flats are really nicely designed and let in loads of light which is great. My feeling is that these flats were built really quickly and corners were cut in terms of some of the materials use, so there have been a lot of issues with things like the door, floor and windows. I don’t think the building is going anywhere though thankfully 🙂 The service company that look after the building keep things ticking over, but I think they charge to much for what they actually do. The area has loads going on. Cafes, shops, restaurants, pubs, bars, lots of fitness centres, community organisations, the hospital is just over the road, people are generally friendly. It’s close to Victoria Park and Hackney Marshes. It’s a great location. The quality of the materials used in the building of the flat. We are so pleased you really like living at your property and have managed to get you on the property ladder in such a great location, but we are sorry to hear your thoughts on the build quality. 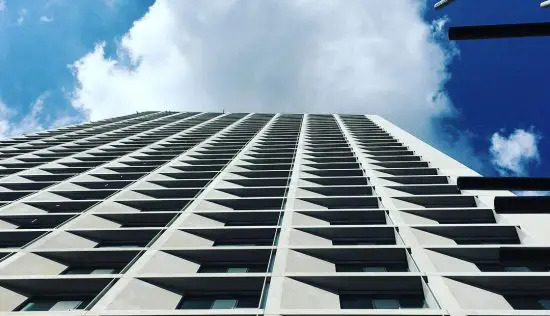 We certainly don’t cut corners on the materials we use, and we analyse all the component parts that go into our flats to ensure that we improve performance from project to project. We take customer care really seriously so if you do have ongoing concerns, please do let us know. Pocket Living is a game changer and I can’t recommend them or what they do enough. Everything within the flat is thought about to maximise the feeling of space. From underfloor heating instead of radiators to the floor to ceiling windows. Without Pocket it would have been almost impossible to get on the London property ladder and they have a great team who made the process as easy as possible. As tenants, we all feel a little let down by the aftercare both from the management company and from Pocket. Whether this is slow responses, clear issues with security or even just trivial things. To me the following is so small and pointless that it makes no sense that Pocket is refusing to sort it. Pocket designed and built a flowerbed outside the building, they never filled it with anything so now it has become the local garbage dump. When some of the tenants asked Pocket about this they just said it’s our responsibility i.e cost to sort it out. Why? Why take this stance? Unfortunately, currently, poor aftercare is the status quo in property and to be expected. If Pocket could just sort those kinda things out it would be an absolute diamond company. Lived in Homerton for a year before moving into this development. Area is improving almost weekly with the new restaurants and bars popping up, love it. It’s good to hear we have made home ownership in London a reality for you. We always aim to deliver the best service we can but clearly we have made a few slip-ups. We’ve sorted the security and we’ll speak to the management company about the flower bed. In our other schemes residents are really keen to plant up their beds which is why it wasn’t filled. Hopefully we can resolve this quickly. Love my flat but bad aftercare! The building itself looks nice but has had quite a few issues to do with quality and design: the front gate was broken into many times (this was due to the design of the gate having one magnet instead of two). The flat looks very good and the specs are nice quality. The space in the flat is nicely designed and we have large windows with a lovely view over London. Rosina Street has a great location in Hackney, really close to public transport and amenities. We have two different train stations close by and many supermarkets, restaurants etc. I wish that the sales man had been more honest with the flat – he hid many things to make a sale. For example he did not mention that there are freight trains on the overground line that goes past the flat (although we asked about the noise etc). It was also very difficult to see the flat before moving in. I also wish I had known about the planning permissions around the building. We are so pleased that we were able to get you on to the property ladder and that you love your flat. That’s the type of feedback we love to hear. We always aim to deliver the best customer service possible but we’ve clearly made a few slip ups. We are always working to improve our systems to ensure we respond to customer concerns better. Just to let you know we have made a number of changes to the building in response to residents’ concerns. These actions have stopped the break-ins but if you have any further concerns please let us or the management company know. 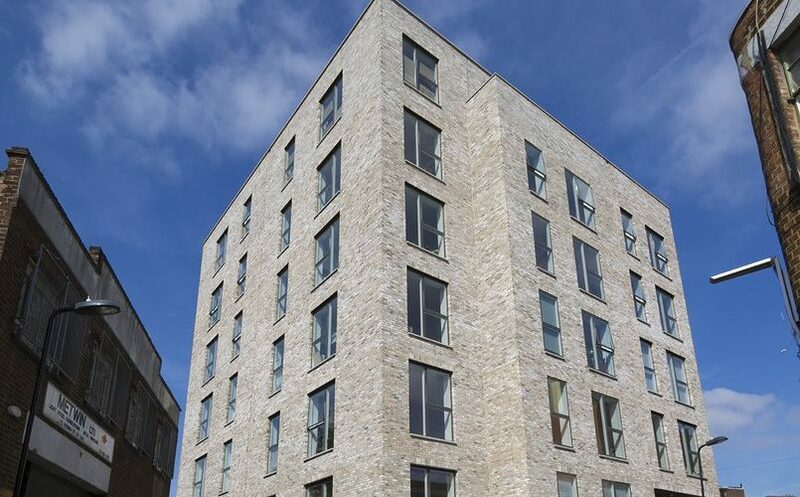 As these flats represent an excellent opportunity to buy and very good value for money it has made it easier to overlook some of problems I experienced in my first year, namely poorly designed security in the building which resulted in a few bike thefts. My flat is well built with some minor issues that were quickly resolved during the snagging period. However the developer has not always been straightforward with the residents about their rights regarding who is responsible for repairs during the first two years of completion as this is a new build. Additionally the building management com pany are sometimes slow to deal with problems in the building. Having said that, akthough the flat itself is small it is excellently designed to maximise the space, has superb natural light, good views and is very energy efficient. Homerton is a mostly residential area with OK transport links, but is close to Hackney Central which is better connected. There are a few supermarkets within walking distance, an excellent pizza restaurant 1 minute from my door, and more on nearby Chatsworth Rd. Also some excellent pubs within a few mins walk. 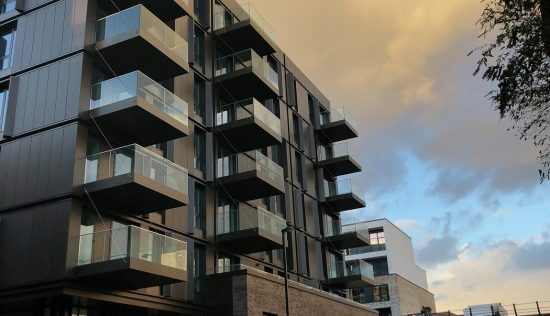 Although I am unsure how this could affect me in the long run it would have been good to know in advance that the developer was going to sellvthe freehold of the building to an offshore company soon after it was complete and the residents had all moved in. It’s good to hear that we were able to provide you with a 100% ownership affordable property but disappointed to hear your feedback on aftercare. Please do contact us with any specific concerns. Overall, we have been pleased with our new apartment at Rosina St and been happy in our first year here. The building is very close to the railway tracks which has been difficult recently due to the open windows (hot weather.) and increased amount of trains at night time. The management company are a little sloe to fix problems and the security of the building was not up to scratch when we first moved in resulting in a number of thefts from the communal areas of posted packages and bikes. The best thing is the roof terrace with great views to the City and East towards Stratford the specification of the apartment was also very good. 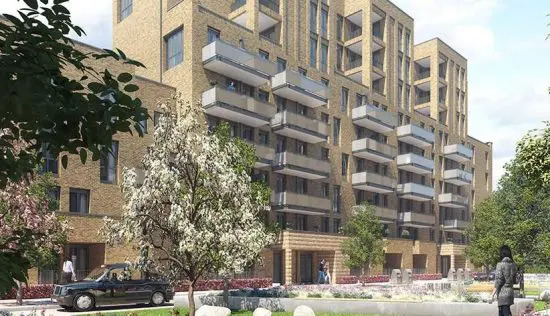 It’s in a good location just 5 minutes from the overground station and close proximity to the amenities nearby, decent shops, restaurants, pubs, cinema and the new Hackney Walk shopping district. Freight trains travel on the train tracks throughout the night! We are pleased you have enjoyed the first year in your new home. Just to let you know we have made a number of changes to the building in response to residents’ feedback. These actions have stopped the break-ins but if you have any further concerns please let us or the management company know. I love my perfect little Pocket flat. Pocket Living have enabled me to get onto the market in an area I never thought possible. 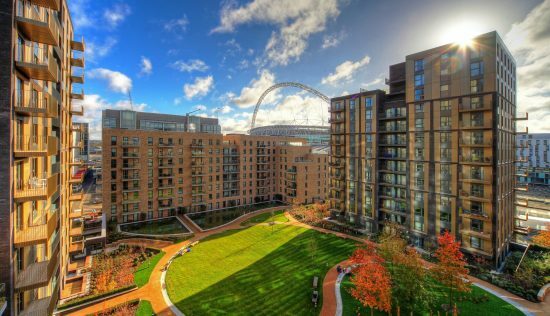 The great thing about Pocket is that is it for those who live or work in the borough where the development is – plus they price 20% below the market value. So having that combined with Help To Buy enable to get onto the ladder! The flat is a perfect one-bedroom space. It comes with no radiators, no bath etc to make space for more room. The flat is very well designed – with the perfect cupboard spaces for a washing machine and storage in the hallway. One item that was missing when I move in though, was a wardrobe – it would have been great to have a fitted wardrobe in the spec (as I know they have provided this in their other developments). There are only 32 flats in our development, all neighbours are super friendly and we have become a little community. Even having building drinks & bbqs on our communal rooftop terrace which overlooks the city skyline & olympic park. I love the open aspect to the building – keeps everything fresh and airy. However, I feel that more consideration should have been put into the security design of the building by Pocket/the architects. For example, the first floor wall is low enough for individuals on the street to jump over and gain access to the building (this happened resulting in stolen bikes and parcels). Plus, for the first year (& ongoing) we have had security issues with the design and functioning of the front gates. I personally love the area, having lived in the area for the past 3 years before buying my flat in this development. There is always something new going on, a new pop-up, a new bar, new restaurant, new market but it also has a great neighbourhood/community feel! With London Fields, Victoria Park and Chatsworth Road on my doorstep – what isLastly, with so much development going on (not only in the surrounding streets) but also in the whole area, this flat is certainly a worthwhile investment. not to love! Also, a Coop (with long opening hours) on my street corner, a Tesco Metro a 5 minute walk away, and a huge Tesco 5 minutes in another direction. No supermarket hassle! As Pocket buys ‘cheaper’ land to build on, we are situated next to the overground line, so it is noisy (especially those freight trains’. However, I am so accustomed to it now – I barely notice. 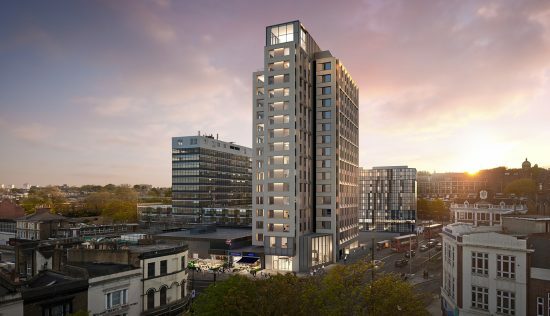 Plus, it is rather ideal being smack bang in the middle of Homerton overground station and Hackney overground station, 5 or 7 minutes walk to each of them respectively. Plus, a 10 minute walk to Hackney Downs station which takes you into Liverpool Street Station in under 10 minutes. 1. Varnish/seal your floors before moving your furniture into your flat. Unfortunately, our floors were not sealed & we were provided with the wrong care instructions by Pocket. Most residents now have water stains on their flooring – which Pocket is not rectifying. We are so pleased we were able to get you on to the property ladder. It sounds like you have a great community spirit which is always our aim when designing our buildings. Just to let you know, we have made a number of changes to the building in response to residents’ concerns. These actions have stopped the break-ins but if you have any further concerns please let us or the management company know. Overall, I’ve been happy living here. It’s in a great location and is set back from the street so quieter than average. The building is very close to the train tracks but you get used to the sound and it really isn’t so bad. There have been some issues though, mainly with security in the building. When everyone moved in there were a few break ins to the building and people were stealing bikes, etc. (not breaking into people’s homes). I felt that the building management company was quite slow to address the problem. We haven’t had any break ins in months so I think it’s sorted now. . The communal roof is great. It’s great to hear that we helped you on to the ladder in your chosen area and that you love your flat. Rosina Street is certainly a great location for city makers. Just on your concern, we have made a number of changes to the building in response to residents’ feedback. These actions have stopped the break-ins but if you have any further concerns, please let us or the management company know.